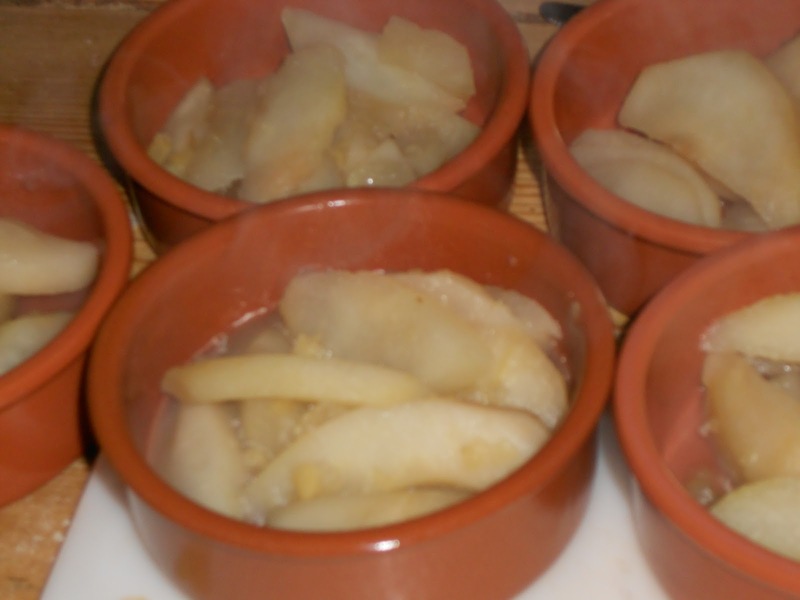 This weekend why not try this wonderful pear and ginger crumble for the family or if you have friends coming round. 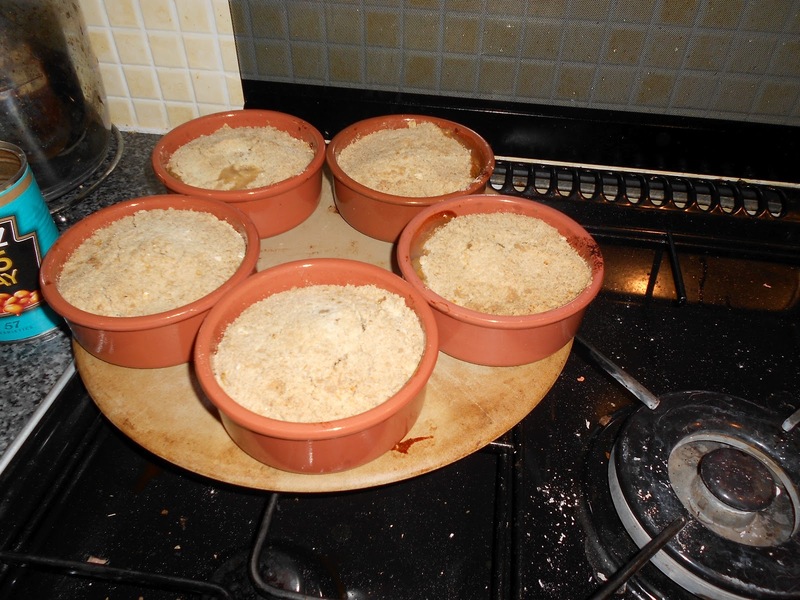 It is easy and any crumble goes down really well. I rarely cook puddings as none of us in the family really eat them, but I do try on a Sunday or if I am entertaining to do something. I was given a set of terracotta stone dishes that are perfect for single portion puds or starters and so I have made these as individuals but they would work just as well in one dish. The amount of butter /flour and sugar will depend on how many you are cooking for and how much they like crumble. In my family (2 adults, 2 teenage boys and a hungry 9 year old) they most definitely prefer crumble to the fruit so I have used 3oz of butter / sugar and 6oz flour with a large mummy sized handful of oats for crunch. I make the ginger juice first by putting the boiling water over the ginger and brown sugar and keep boiling. I think you are supposed to throw away the ginger and just use the juice but I add plenty of water then boil for a long while to soften the ginger. 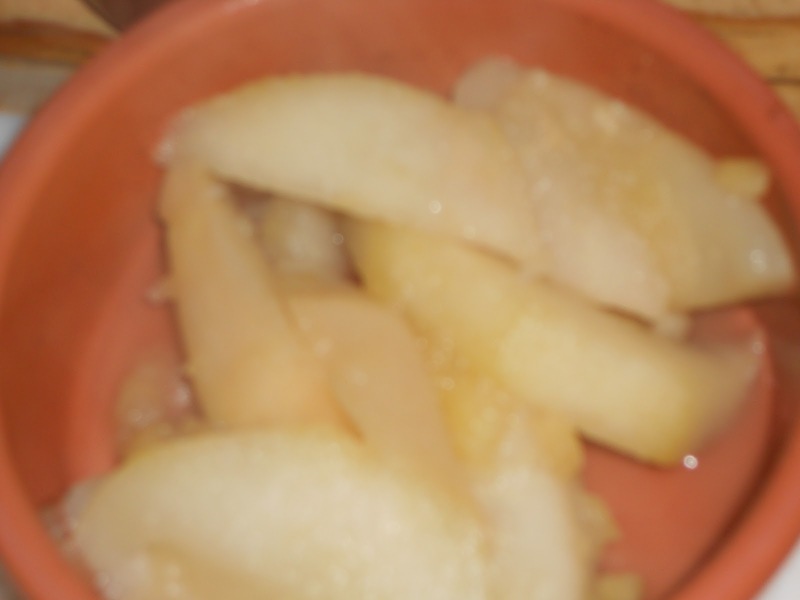 When most of the juice has evaporated I then add the apple first and as it softens add the pear followed by a sprinkling more of brown sugar. Once the fruit has softened but still kept some shape take it from the heat and lay in a layer in dishes. Allow it to cool. 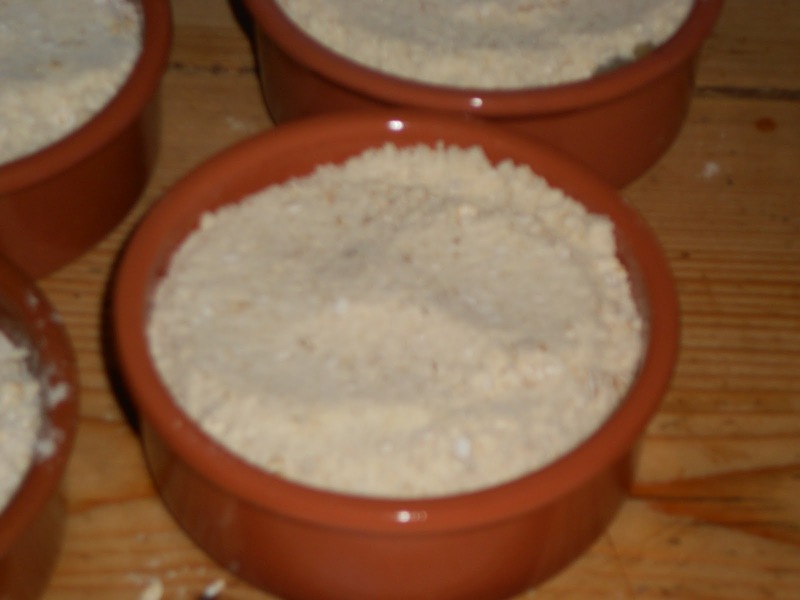 In the meantime make the crumble by mixing the butter and flour by hand. When it resembles breadcrumbs add the sugar and stir gently by hand. Add the handful of oats and stir again. Top the fruit and cook in a medium oven till browned on top. Serve with cream, ice cream or custard then sit back and listen to their ooohs and aahhhs of pleasure as they tuck in. read my trials and tribulation on my other blog at Tiggy Hayes.